Ronald P Frye & Co. Publishers are pleased to announce the latest work from the renowned poet, Seymour Mayne is now available for purchase online and at all major retailers. This heartfelt collection features artwork from the incredible Sharon Katz, and can be purchased for the price of $17.95 for the print edition. It is also available as a digital e-book for $9.95. You can add this stunning collection to your library today by clicking here. How fortunate we are to have Seymour Mayne as translator. 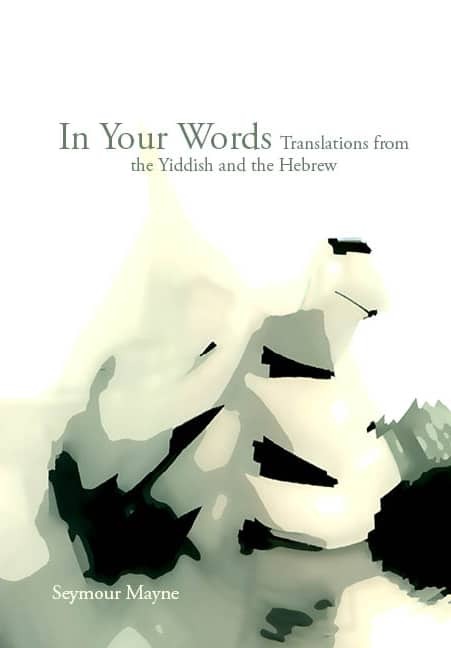 With sensi­tivity and skill—he is, after all, a poet himself—Mayne invites us into the worlds of Yiddish and Hebrew poets, whose verse would otherwise remain closed to English readers. Mayne’s feeling for language shapes this deeply personal selection of Jewish verse in translation, and for that, we must be grateful. The best poetry translators are simultaneously guests and hosts of their po­ets. The hospitality in this relationship moves from acquaintance to friend­ship to intimacy. The translator negotiates the best possible deal between two languages, which are necessarily and positively in tension, like two lov­ers with strong personalities. Seymour Mayne is such a translator. He hon­ours the multilingual nature of his native Montreal by extending his hospi­tality as a wordsmith to the two languages of his Ashkenasi Jewish ancestors, Yiddish and Hebrew, languages which were central to his childhood. Thanks to an excellent ear, appropriate scholarship and deep poetic intel­ligence, he has extended the range and aura of poems by Rachel Korn, Melech Ravitch, Abraham Sutzkever, Moshe Dor and Shlomo Vinner, and we are the grateful beneficiaries. Seymour Mayne is the author, editor, or translator of more than seventy works. His latest publications include a selection of short fiction, The Old Blue Couch and Other Stories (Ronald P. Frye & Co.) and his most recent book of poetry, Cusp: Word Sonnets (Ronald P. Frye & Co.), published to mark fifty years since his first collection of poetry appeared in Montreal. As the leading international innovator of the word sonnet, he has given readings and lectured widely on this unique new ‘miniature’ form.